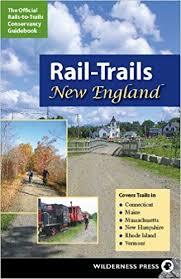 The Northern Central Railroad (NCR), Terry Brown Rail Trail and the York County Heritage (YCH) combine to create a 41 mile mixed terrain ride. Despite its proximity to Baltimore, the trail follows nearly all rural terrain, with much of it along side Gunpowder Falls River). on fine crushed gravel. This map shows the route out and back, starting from York, PA. 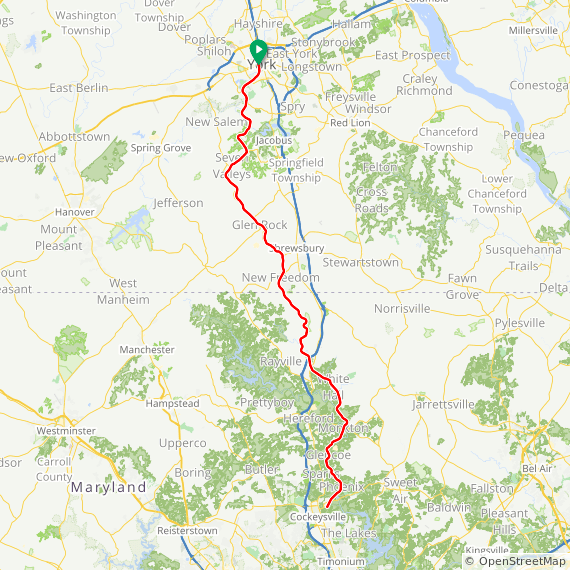 It continues 21 miles to Maryland where it becomes the Terry Brown Rail Trail (North Central Railroad), ending near Cockeysville, MD, then back to York, for a pleasant two-day rural trail tour.